This website is dedicated to the MASERATI quattroporte "...a true sports luxury cruiser". 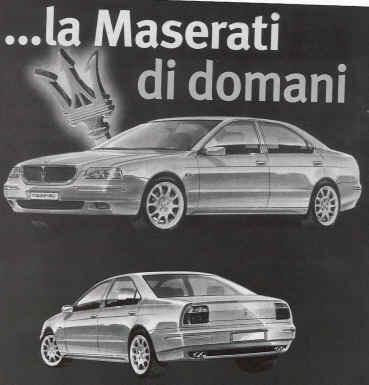 Short stories and technical data on all Maserati quattroporte (QP) since 1963. The QP IV is close to the latest four door biturbo (spirit, style, engine) but different enough to attract other customer like me (I'm a proud owner of a 1997 QP IV 2.8 after a nice 1990' 430). The slightly odd styling may appeal to many people and it provides an automobile which will be instantly recognizable in a crowd. With four doors this provides the driver and especially rear seat passengers with precious little room and comfort. If you have the money to spend and don't mind the Quattroporte's shortcomings, you can easily be satisfied by its excellent performance and unparalleled exclusivity. Do not hesitate to contact me if there is any information to modify or add, or, as this website is also made with collected information from the web, any copyright issue. The site is built by owners of QP IV from France and Netherlands. This is not an official website and all the information given here are free and "as is". First picture of the QP V , free QP IV tech manual & free Biturbo tech manual, more technical data , picture and design of QP IV. Also some scans of the QP I handbook.